Locally okra is known as bhindi (Hindi) or ladies finger. 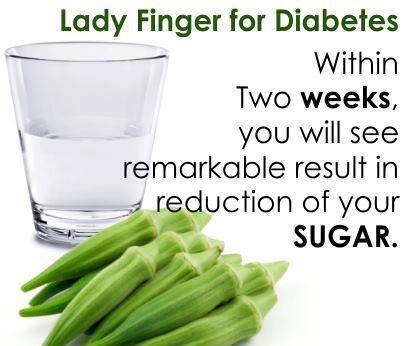 I am sure; besides the recipes with Okra, you would have also heard that this veggie is good to control blood sugar. So is it scientifically true?? Let us explore that. It’s in the seeds of Okra. In Turkey, roasted Okra seeds have been used as a traditional medicine. It’s these seeds that have shown results in lowering blood sugar levels in studies done. Also it’s shown to prevent diabetic associated complications as it lowers HbA1c levels. So how do these seeds help?? These seeds are alpha- glucosidase in nature and gum contains insoluble fiber. They inhibit the carbohydrate metabolizing enzyme; hence prevent release of sugar in blood stream. How are these to be taken?? You need to split the Okra in two and soak it in water overnight. Next morning squeeze the gum (the mucilage in water) and seeds into water and drink this water on empty stomach early morning every day. You got to take it this way because the researches done support intake in this form, it isn’t clear if the cooked form too hold similar blood sugar control benefit. One thought of care out here is that if you going to just have these okra seeds water without dietary control and lifestyle medications, it alone isn’t going to work miraculously in controlling blood sugar levels. It has to be coupled up with complex carbohydrate rich diet with good fiber intake from salads and control on simple refined carbohydrate meals. And surely exercise too!! Besides health benefits in lowering blood sugar, Okra is also rich in vitamin A and B complex vitamins, and helps in lowering lipid levels too. I have not been a fitness freak or had a regular fitness regime. But, I would go for my morning walks daily. I never missed it and that was my only exercise towards being health conscious. As for my job it largely involves sitting at my desk but it is stressful. It’s the stress that was an excuse for me to increase my smoking along with being a habitual smoker since my college days. Smoking led me to acidity and lack of sleep as well. The turning point in my life came when around 5 months ago, I attended a program organised by my company. At the programme, they gave out a fitness tracker–GOQii to create awareness of health and fitness among us employees and we were also told that the tracker is accompanied by a coach who will help us decipher the data tracked and give us tips on health and nutrition and lead a healthy lifestyle. Initial one month I procrastinated on wearing the band. Then I decided let me try it out. 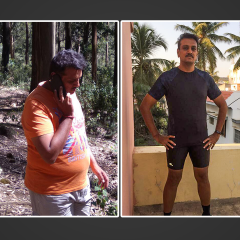 My coach Sweta Karia has helped me a lot in my lifestyle change. 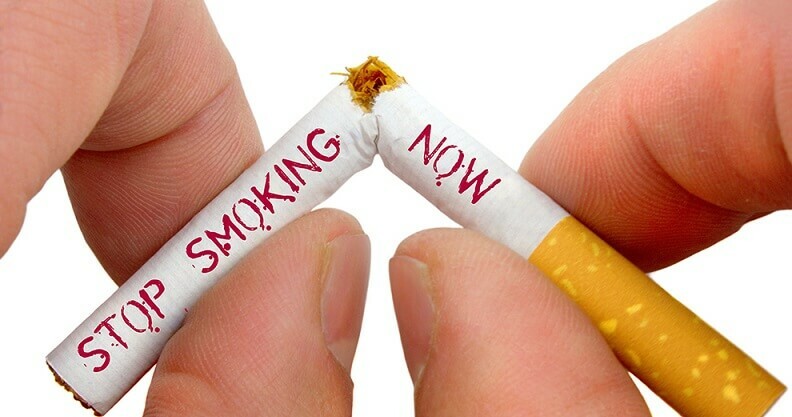 My first health goal was to quit my smoking and reduce my acidity. And I am glad to say that I have been able to stop my smoking habit for the last 1 month and this is one of my major achievements. I have been smoking for almost 29 years. If it was not for my coach I do not think I would have ever been able to do this. Sweta did not do anything drastic to get me out of the habit. Our target was to get me off smoking in 3 months It was a slow and steady process. I used to smoke on an average 10 cigarettes a day. My coach systematically cut down the smoking from 10 to 8 to 6 to 5 then 4, 3, 2, 1 and then a lot of struggle and she was constantly supporting me then finally I was able to stop it. I’ve had also been asked to go for a walk whenever I feel the urge of smoking. But, I do not have the urge anymore. My second issue was with my food habits. I thought I ate healthy but obviously, I didn’t. I lacked understanding on what to eat, how much to eat, when to eat, what should be daily water intake. All these concepts were well defined and explained to me by my coach over these last few months. 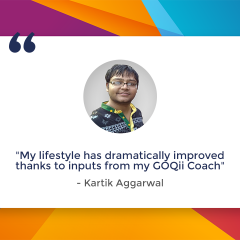 Being on GOQii has helped me get clarity on lots of aspects of health and nutrition. It has helped me understand what goals I need to achieve, quantification and how I can achieve them. The one thing I have realised with GOQii is that one has, to be honest to oneself and your coach and follow the tips given to you diligently to get the best results. 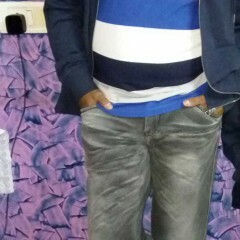 My acidity was aggravated due my excess coffee drinking and smoking. I used to drink 5-6 cups daily. I was asked to bring it down slowly. Old habits die hard but I tried. I knew if I did not, it could only get worse and that would be painful for me. I bought it down to 4, but coach asked me to take just half a cup every time. So, then the frequency also came down from 4 to 2. My water intake has also increased from 1.25 litres earlier to the current 2.75 litres of water every day. This has helped me a lot. I have also started having a lemon juice after my morning walks and then have my breakfast and bowl of fruits. My vegetable intake has increased and then the food intake has reduced. I have controlled my rice intake to a large extent. I go for a maximum of vegetables and salads, sprouts, carrots etc. These small habit changes have proved fruitful. My activity levels have also seen a gradual increase. I also participated in a 21 km run and 10 km run and could do it easily. I clock around 13000 to 14000 steps a day which is quite normal for me nowadays. Along with all this, my coach has also advised me to do some breathing exercise at least twice in a day. One more point what I’d like to mention is that there are 4 units of service that is followed in this industry. These are namely Design of service, Delivery mechanism, Passion, Touch and Feel and lastly building long term relationships. Lastly, GOQii is trying to build long-term relationships by constantly seeking feedback from players on what sort of improvement we are able to do etc. That stems from the CEO who is in constant dialogue with his players trying to understand their needs.They not only take feedback but also try and implement and then they demonstrate to you without even saying explicitly. But, the effects are visible. What does coach Sweta Kariahave to say about her players? Initially, his meals were not well balanced and he used to smoke 10 cigarettes per day. 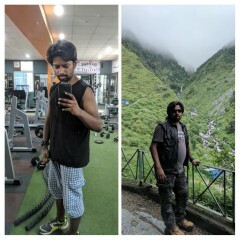 He was very dedicated towards his goal to quit smoking completely within a time span of 3 months and with all the efforts he made things possible. Not only that, we worked on his water intake, vitamin C intake as his immunity which was at risk due to smoking and unbalanced meals coupled with high stress levels.. I have never heard a NO from him for anything that I have asked him to do. We made things happen slowly. We started with initially bringing down his smoking to 2 cigarettes per week and slowly by the end of 3 months we came to 0..and is still at 0. The other goals were given 100% attention too by him which makes him feel much better now and he is super active, healthy and happy too with the lifestyle changes he has made!!! How to train for High Altitude Trekking? Almost a decade ago when I started trekking in the Himalayas, it was just a few enthusiasts who did this. It was not considered normal and people were under the impression that this is meant for only those who were super fit. Trekking is normally associated with arduous trudging on some hard and uneven ground, climbing and walking on moraines and all that’s associated with laborious tasks amidst hostile environments with bare shelter, food and clothing essentials. While trekking you might come across situations where you are stuck and most times hit by the sheer untouched beauty of a picture perfect image that embeds itself permanently in your memory as you are exposed to the wilderness for a longer duration in a day. This beauty can be seldom enjoyed while in a car. Having said this, trekking is not tough. If you know to walk then you can trek as well. But, this does not mean that one ventures into unknown territories on their own to explore the unknown. Walking along a trail around with a backpack does not require exceptional skills but does require certain amount of physical fitness, planning, the right clothes, shoes and above all old common sense. For high altitude trekking it requires much more physical and mental preparation. At higher altitudes, the air is thinner, there is less available oxygen and it becomes more difficult to breathe. 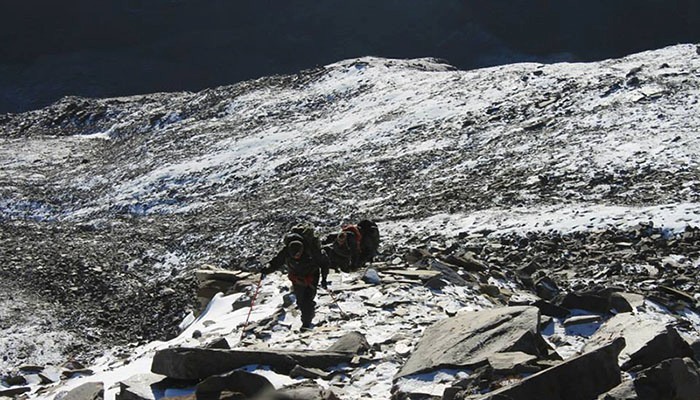 There are serious risks involved with high-altitude hiking, including altitude sickness, acute mountain syndrome that can lead to pulmonary or cerebral edema, all of which can result in death. Therefore, before you go on a high-altitude hike, you need to train your body to work efficiently and effectively in environments with less oxygen. ** Begin training at least four tosix months in advance. This is especially important if you plan to hike at altitudes of more than 14,000 feet. **See a doctor for a medical checkup in the early stages of training to ensure that high-altitude hiking is a safe and recommended activity for your age and physical condition. ** Hike as often as possible. The best thing you can do to prepare for higher-altitude hikes is to hike closer home as often as you can and at higher altitudes if available. Start gradually, increasing the distance and altitude of your treks with each week of training so that your body and lungs can become accustomed to functioning at increasing levels of altitude. ** Participate in interval training. Interval training is a method of training the cardiovascular system by elevating the heart rate significantly and then allowing it to recover for a period before elevating it again. ** Interval training could consist of running sprints, running hills or using the interval setting on a treadmill or exercise bike. Choose one day of the week for interval training and doing six repetitions of whatever exercise you have chosen. Each week, increase the intensity by running a faster sprint or a steeper hill. You also can train with your back pack with about 6 kgs in it to add weight and simulate the weight that you might be carrying during the high-altitude hike. 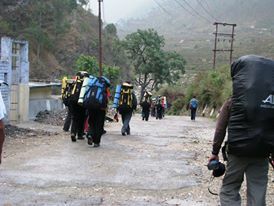 ** For trekking you should work on developing a breathing rhythm and deep breathing. Your ability to control and conserve your breath and expand your breathing capacity will come in handy when the oxygen supply is reduced. Developing a breathing/stepping rhythm will prevent you from overexerting yourself at higher elevations. It also recommends practicing deep breathing on training hikes.Whenever you begin to feel breathless, concentrate on taking deep breaths and smaller steps until a more normal breathing pattern returns.Yoga asanas such as Kapalbhati, Vastrika, Anulom Vilom all of which entail breathing exercises. ** Lastly, you could also train with professionals who are trained in mountaineering to learn few basic techniques and nuances that may help while trekking. My final advice: Try not to skip your work out if you can help it. Your safety and success depends on an how fit you are. In today’s competitive world every human being is striving for a good career combined with a good healthy lifestyle and this can be achieved through exercise, proper sleep and above all good nourishing and healthy nutrition. Managing work and home for both men and women with dwindling time is increasingly becoming difficult. The last thing that we want to compromise is our health. With little planning, ingenuity, and organization in advance can make cooking a pleasurable experience. It has been said many times that all tasty and nutritious meals need not require too much of elaborate cooking, too much time and usage of lot of spices or oil. Try these life saving hacks for a week and enjoy yummy and ready in minutes recipes! -Pre-preparations: If there are some recipes that are time consuming and elaborate then these can be pre-prepared during the weekends when one has some extra time to spare. During the weekend you can mentally plan the foods, dishes that you intend to make during the week. Pre-preparation of these dishes help a great deal thus saving lot of time during week days. -Learn to Deep Freeze!!! A good size freezer compartment always comes in handy. Cutting onions every time is very cumbersome. The much used mixture of tomato and onionin most Indian dishes can be cooked in bulk, and tucked away in freezer. 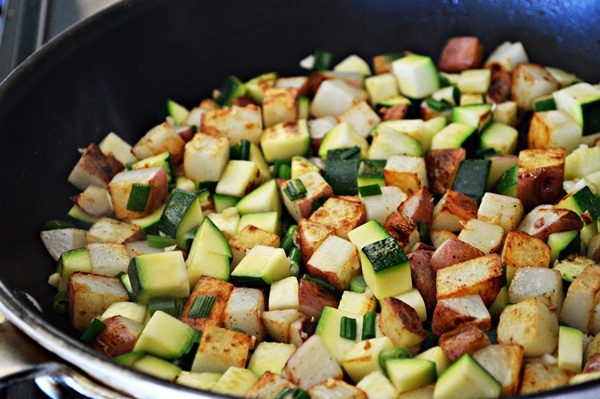 Whenever needed take a few spoonful out and cook it with your vegetables. This paste comes handy for pasta as well. Similarly, Indians use lot of ginger and garlic in their food. You can pre prepare this paste as well and deep freeze it. This will save a whole lot of time when you’re cooking next. -Partly cooked vegetables like roasted Brinjal or Aubergine or also called Eggplant, Okra (Lady’s Finger), Bitter Gourd, pressure cooked pulses such as, Kidney Beans, white chick peas, black eyed beans etc can be partly cooked and tucked away in the freezer(for fresh taste prepare the seasoning at the time of serving). -Leafy vegetables Preparations: Leafy vegetablescan take a lot of time to clean, wash and chop. With a tight work schedule this might get difficult. To make it easy for you, wash, clean and chop the leafy vegetables in advance and store them in containers and keep them in the fridge. Add these to your daily wheat dough to make nutritious breads or in battersfor other preparations etc. -Meats can be marinated, half cooked and frozen:These can be freshly pressure cooked with additional spices or baked to get perfectly cooked dishes. – One thing that I very often do is make large batch of rice-pulse batter. This batter can be conveniently stored in refrigerator, and can be used for over a week for make steamed rice cakes.Try mixing some oats powder to this mixture for healthy alternatives top up the batter with chopped vegetables for greater variety. -Other than freezing, vegetables can also be washed, cut up, cleaned and stored in airtight containers for a busy morning. Use these to make healthy multigrain sandwiches, subs, etc. So no more will you have morning blues of cooking and rushing to work if you follow these easy tips. Start your GOQii Lifestyle today!